MORIOKA, IWATE PREF. 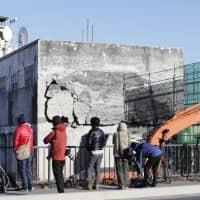 - A ceremony marking the reconstruction of an elementary school — the last public school in Iwate Prefecture heavily damaged by the 2011 earthquake and tsunami to be rebuilt — was held Friday in the city of Rikuzentakata. Kesen Elementary School’s new building stands on higher ground, about 49 meters above sea level, at its new site. The previous three-storied building was destroyed completely by the tsunami, which reached the top floor. On Friday, officials from the prefectural board of education celebrated progress in rebuilding disaster-stricken schools. Kesen Elementary School had been using the building of Osabe Elementary School in the city since April 2011, a month after the tsunami. In 2013, the two schools were merged as Kesen Elementary School, with classes continuing at the same location. A total of 86 municipal schools in coastal areas of the prefecture were hit by the earthquake and tsunami in 2011. Some of the schools were relocated to higher ground while others were renovated at the same sites. 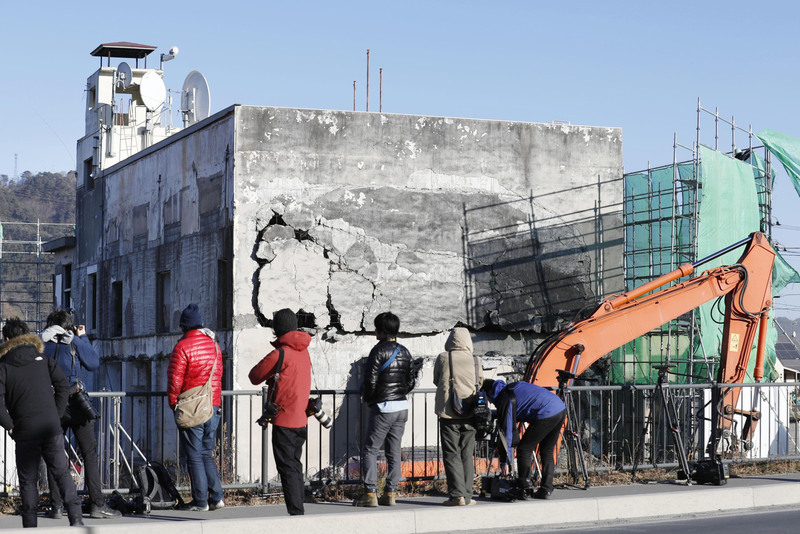 Also Friday, workers began preparations to dismantle the former Otsuchi Municipal Government building in the prefecture — where the mayor and 27 employees were killed by tsunami — after the Morioka District Court dismissed the previous day a request from residents to block the demolition in order to maintain the building as a memorial to the disaster. The decision followed Otsuchi Mayor Kozo Hirano’s statement that the work would start on Jan. 18 as planned. The town will consider ways to use a clock and other items from the building to convey the memories of the disaster to future generations.